CLICK TO PRINT The Peaceful Mom GROCERY LIST. I place this on the refrigerator and mark items when I notice we’re getting low, so we never run out of anything. HAVING TROUBLE? Download the latest version of Adobe Reader here for FREE. WANT A DIFFERENT PLANNER? Click here. Hey! I have been “stalking” your blog for a while. 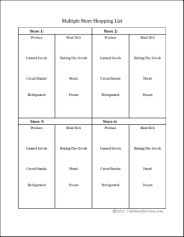 Trying to become organized enough simply to incorporate your ideas! You have shed so much light in my life, you have NO idea. So I’m proud to say that today , I will be taking my first step by menu planning! I have also written out a “Staples” list of everything that we normally have in the house and that we use, so that we can simply check what needs to be replenished. You are AWESOME! I look forward to going on this journey and making it a lifestyle. Thank you very much! I love your helpful information, by the way. Very practical and do-able even for an unorganized Mom like myself! 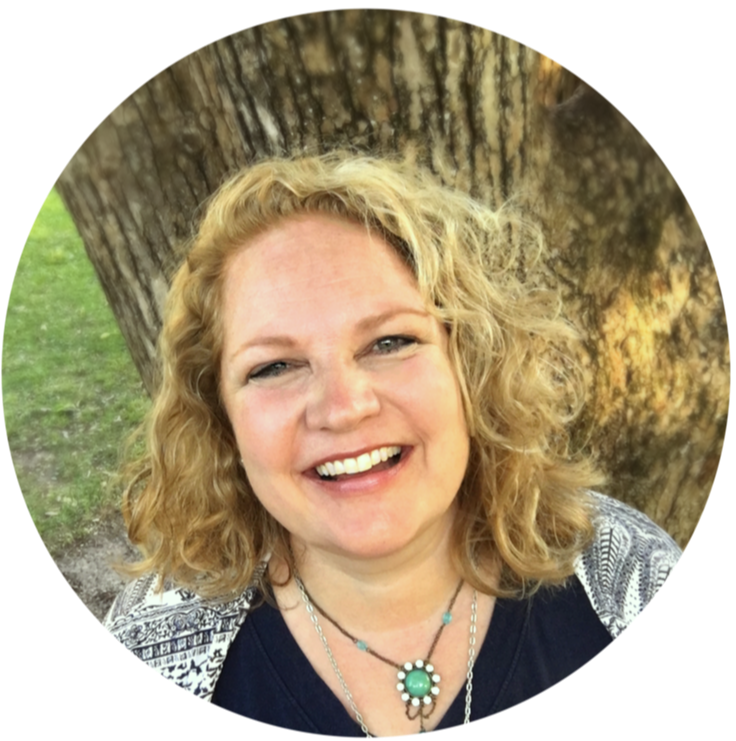 I am loving your ideas…..but my brain seems to be frozen this week….LOL I am currently sauteeing a large pan of ground meat with onions- I saw a post from you about various ways to use it in later recipes, but can’t locate it again….where do I look for that? I think it was about preparing meats before freezing…. I found your site on Pinterest. I was looking for a multi-store grocery list, so thanks so much for putting it on here! You are very welcome Mandi! 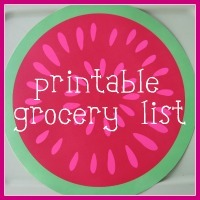 So, do you always have everything on this grocery list on hand? It’s quite diverse, which would be great, but it seems like it’d be pretty crazy to try to keep everything on your list stocked up all of the time. Or is it more, lets see what I have, lets see what I can get, lets see what I want? Like a master list of all the things you like to have at one time or another? Thanks! No, I don’t have all this on hand at one time. It is a list of things that we would normally use. I can easily check off things as we use them up or if I need them for a specific recipe. I do try to keep most of the condiments on hand. I love this, all of it. I’m a pretty organized person, but this making my life so much more “interesting.” The weekly menu calendar is the best. I use if for dinners only, since both of us work and our teenage is at school. With the calendar everyone knows what’s going to be for dinner and we don’t have to think about it. Now granted, there are nights that we sports, but it can easily be “self serve” or left-overs – and…. they’ve been okay with that. I don’t know where you’ve been all my life. This is truly making me a more peaceful mom. 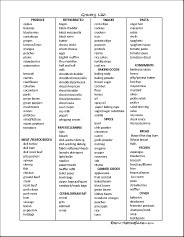 Do you have the grocery list in a format where I can swap some of the items I use more often for some of the ones on the list that I rarely use? Hi Mary! I’m sorry, but at this time I do not have an editable grocery list. You can make one for yourself by using a word processing program like Word or Open Office (which is free to download). You can read more about Open Office here.